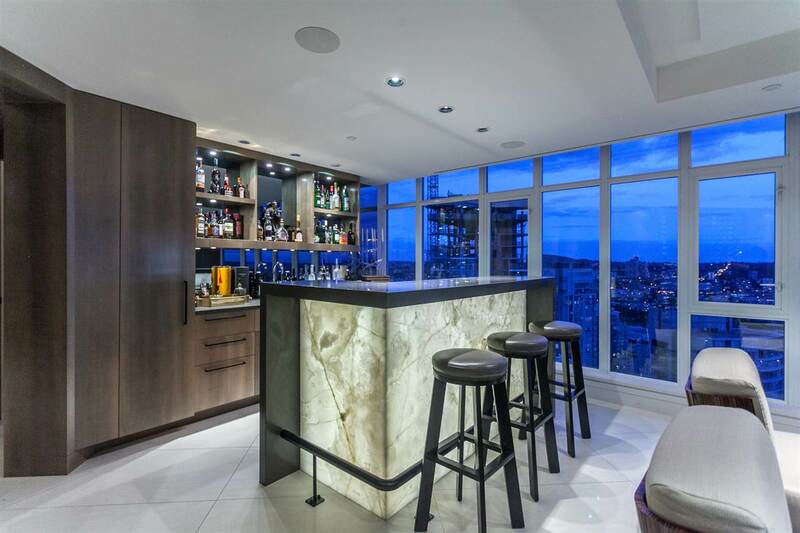 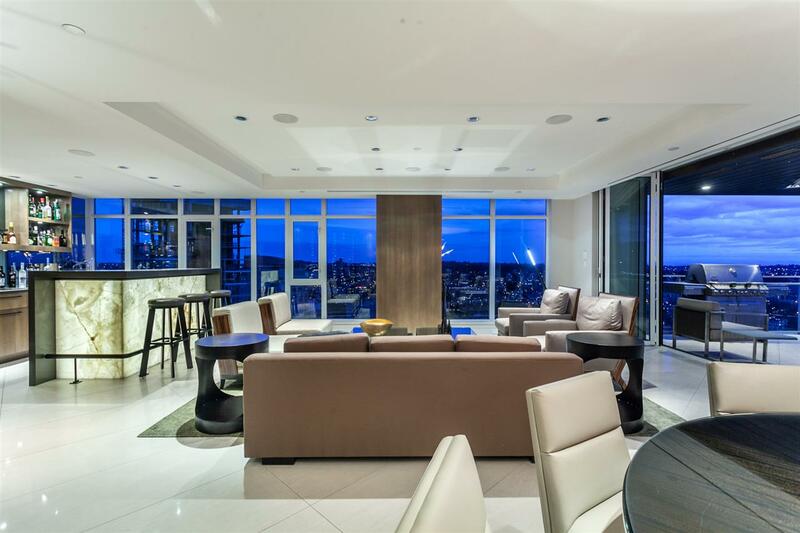 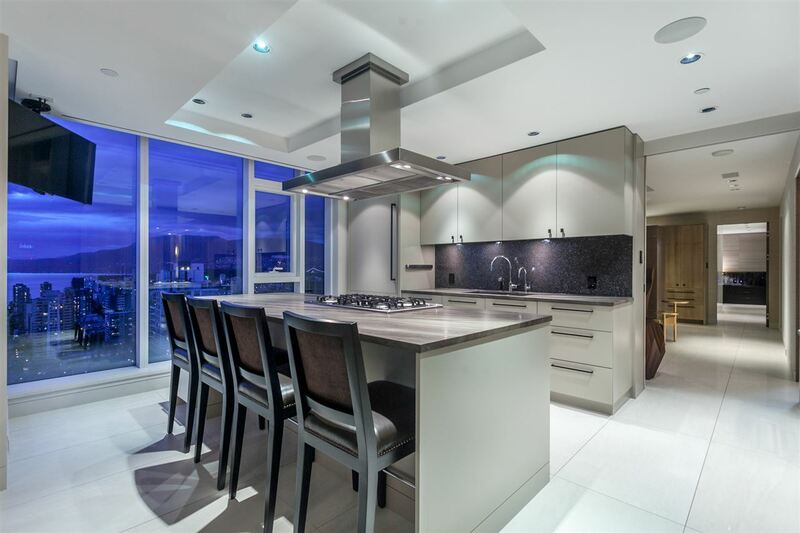 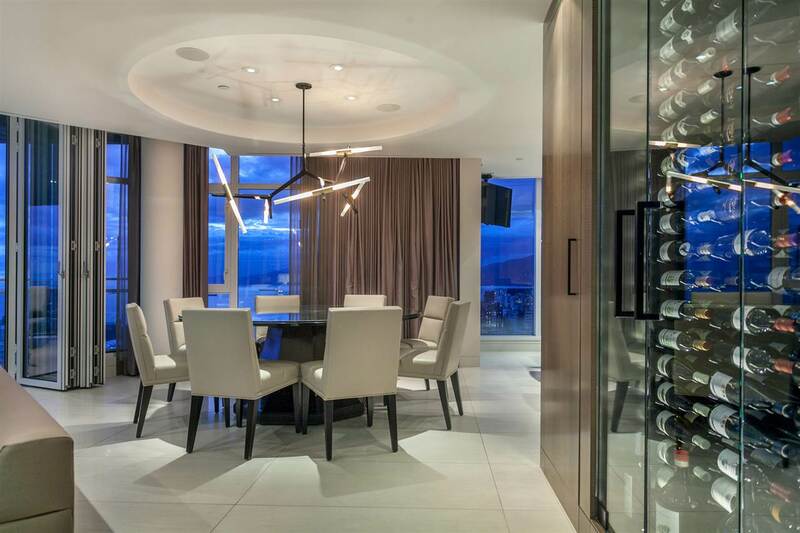 A sophisticated sky home with a backlit onyx-clad bar atop Yaletown’s tallest building is on the market for $5.38 million. 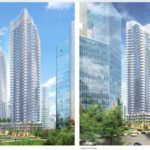 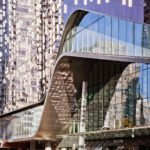 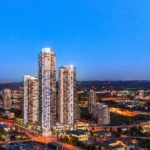 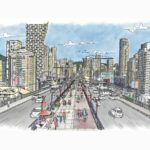 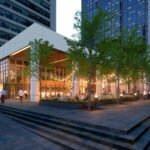 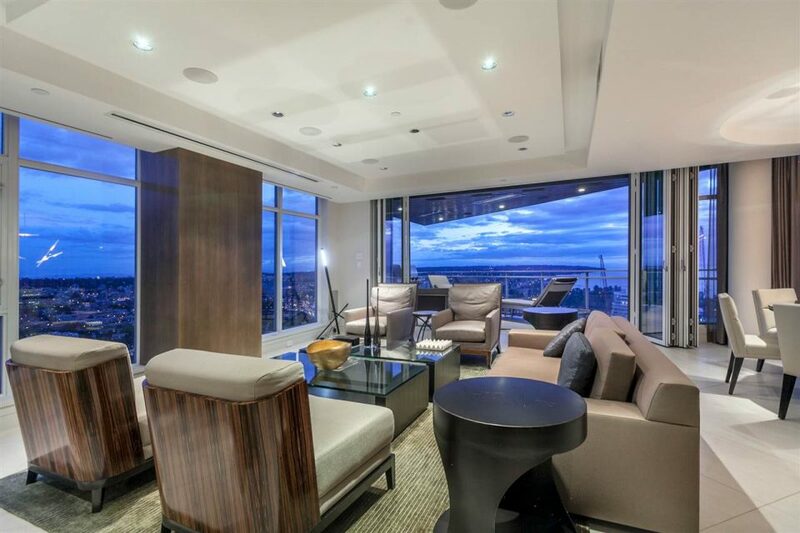 The upper level unit at the Mark, a 41-storey tower completed by Onni in 2014, is listed by Will McKitka of Macdonald Realty. 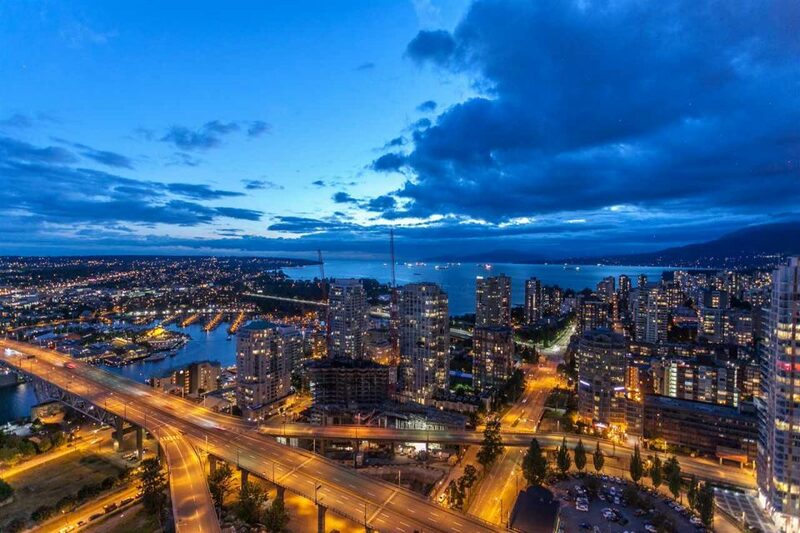 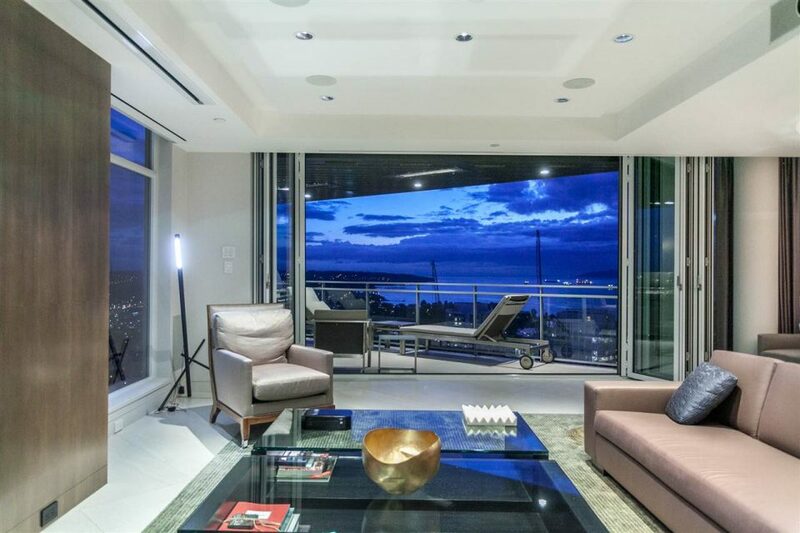 The 2,429 sq ft. home offers spectacular views of English Bay and downtown Vancouver. 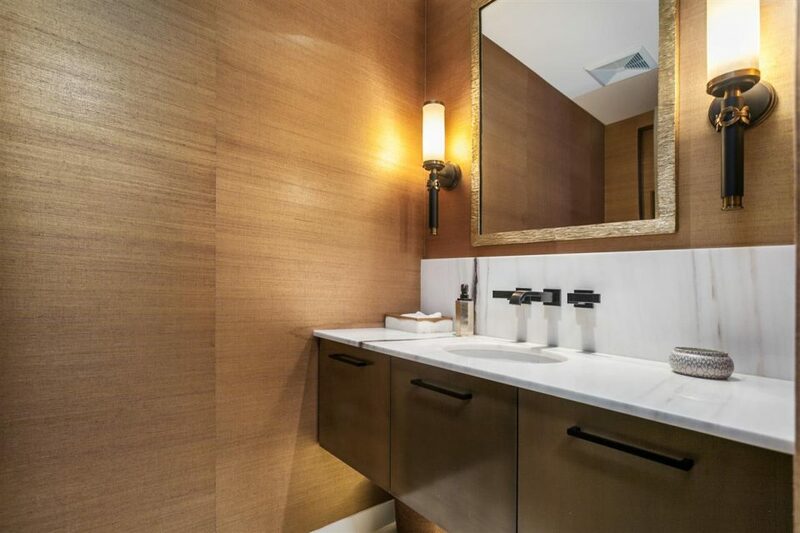 There are two bedrooms and four-and-half bathrooms. 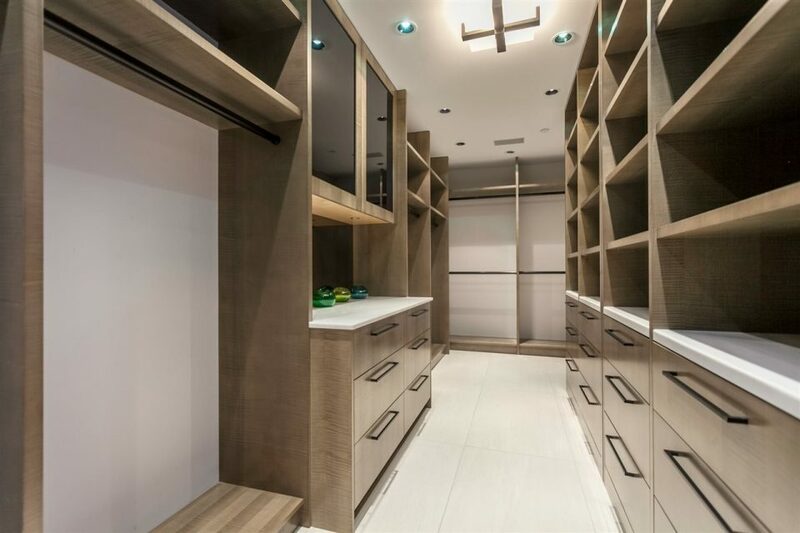 The master bedroom is separated from the ensuite by smart glass, which can be made opaque at the flick of a switch. 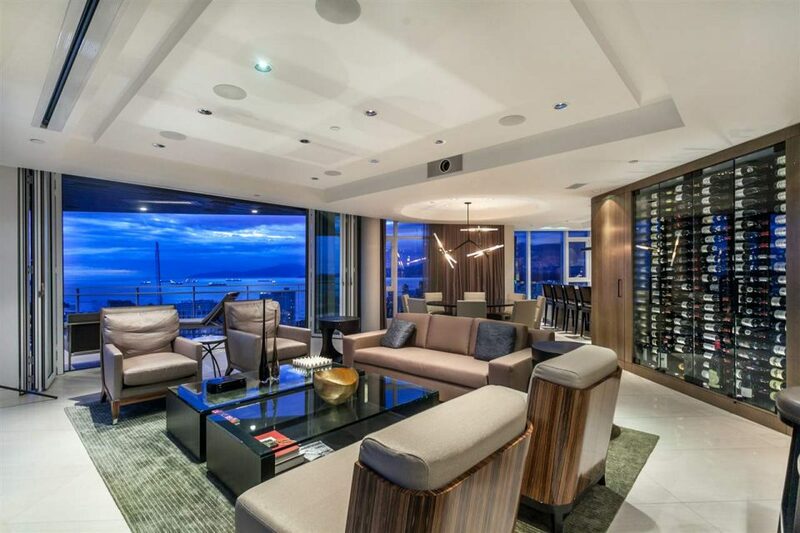 The home is built for entertaining. 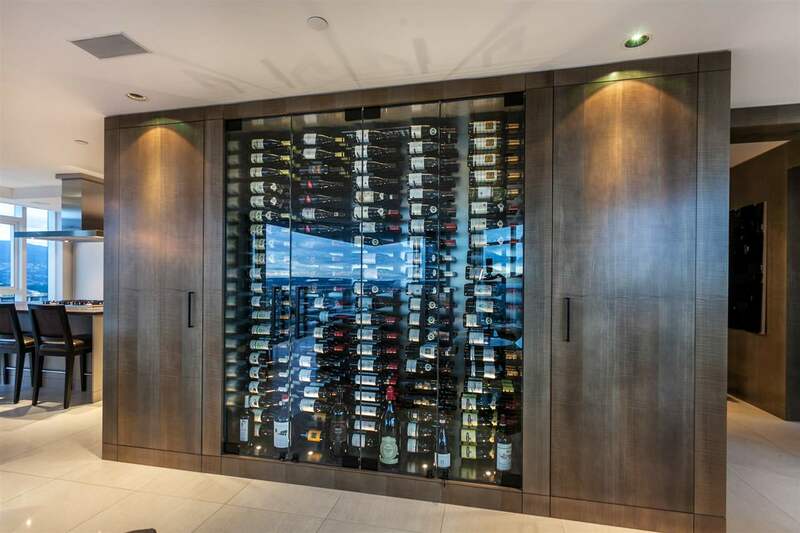 Across from the home bar is a large display wall of wine storage. 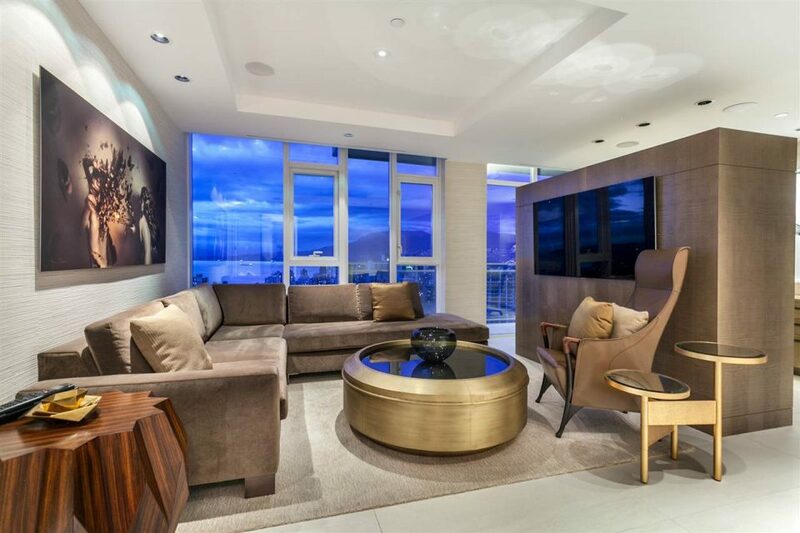 The living room features a drop-down HD projector, and the suite is equipped with a Control4 home automation system that controls the heated floors, blinds, lighting, air conditioning and more. 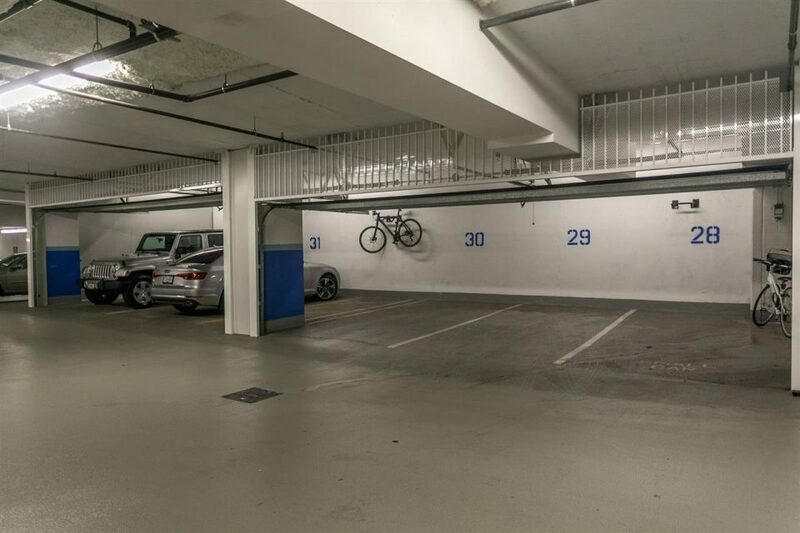 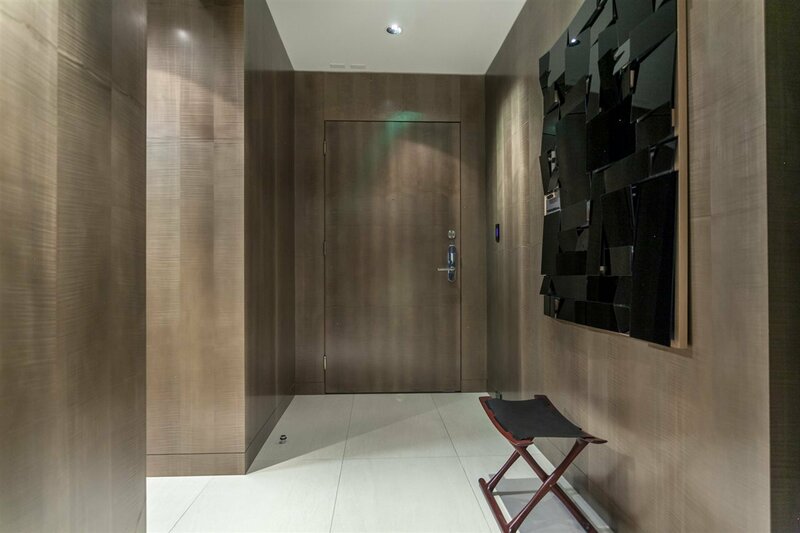 In the underground parking, a five-car private garage has space for all your luxury vehicles. 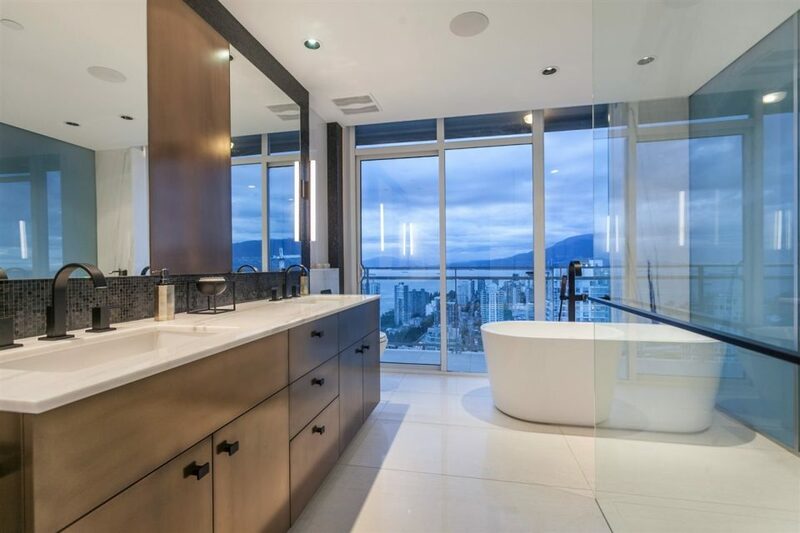 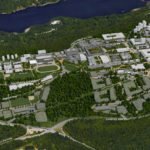 The building has a fitness centre, outdoor hot tub and swimming pool.